Looks like that place is gonna be a lot of fun. Recycling the cowboys is pretty lazy by Cordish though, don't they know how much cross pollination happens between our two cities? People gonna know. shinatoo wrote: Looks like that place is gonna be a lot of fun. Recycling the cowboys is pretty lazy by Cordish though, don't they know how much cross pollination happens between our two cities? People gonna know. yeah...lame. obviously there is a PBR bar in there and cardinals nation draws from down I-44 for 300 miles, but i hate it. i would have preferred some cheesy riverboat bar. Locals upset with the "dress code". BPV has already modified it to allow hats and jerseys on non game days. Phase 2 is Coming Soon. 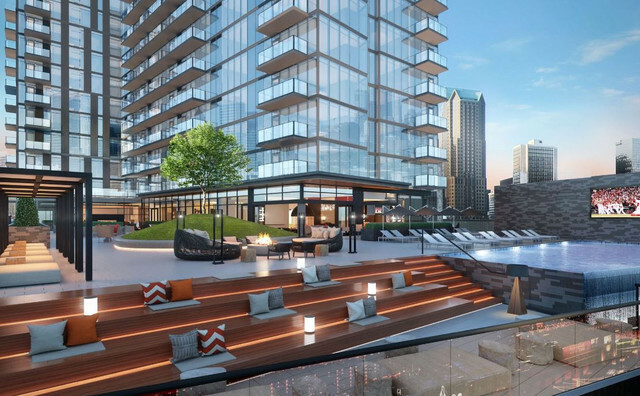 Construction is under way in Downtown STL on the first BPV highrise apartment building. It's pretty much a replica of Two Light, maybe a few floors taller, and with a similar decorative sloped parapet that may also get value-engineered out. Nice to see some (new construction) development activity hit downtown StL. Current status of Phase 2. 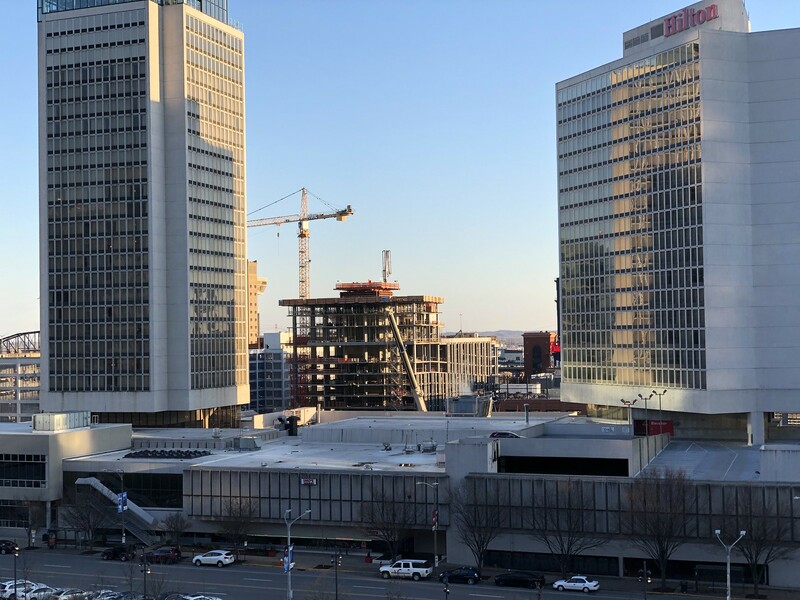 The office building is decking floor 5 of 7 for the parking garage and 5 of 11 for the overall building. The Live! By Loews Building is decking it's second floor. One Cardinal Way is decking it's third floor and One Life Fitness has it's fencing going up. No photos of the One Life Fitness Building, yet. This handy little poster gives you a cool VR experience if you download an app. I took screenshots of what it shows you (One Cardinal Way). 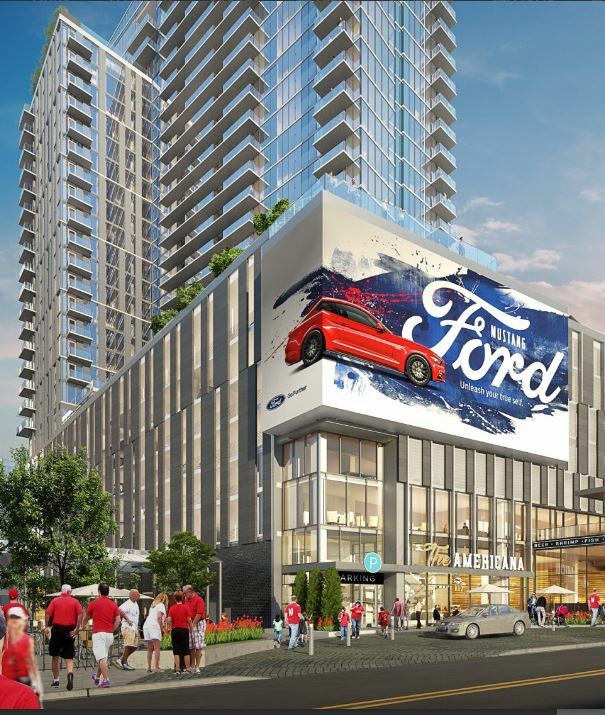 It also has this new rendering. I personally like they way it looks from this angle. Really cool use of AR tech! Wonder if their video screen will be downsized like the one on Two Light? Live! by Loews Hotel, The Pennant Building and One Lift Fitness/Market..
Are there any plans for the parking lots north of the development? I know of something. 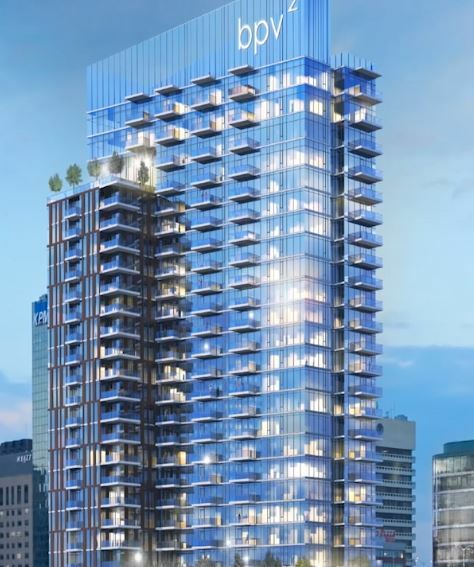 Another residential tower is definite at Walnut and Broadway as well as an office building at 8th and Walnut (behind the Pennant Building). The center lot is up in the air but talks to build a parking garage there with the ability to build on top of have been discussed. They hope to talk about the second residential tower after Oen Cardinal Way reaches 75% occupancy. All that is what I was told a few months ago and things could've changed by now. Pre-leasing numbers stand at nearly 40% for One Cardinal Way and 50% for the office building. Retail is supposedly 90% leased out. Future ones will rise dependent on when projects start. The below photos are from Friday. The skyline photo is from yesterday. 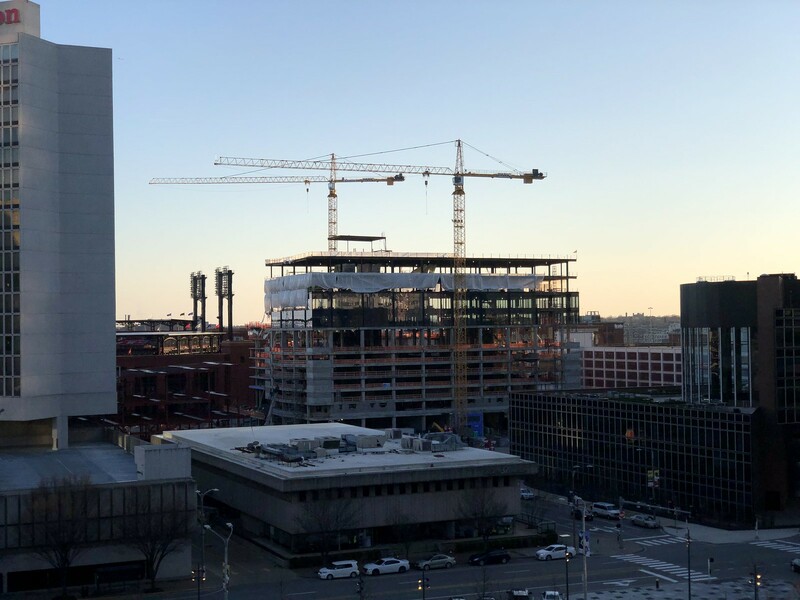 You can see a part of the Pennant Building peeking out from the right Deloitte Building and a sliver of One Cardinal Way peeking over the Busch garage and between the Millenium Hotel and Deloitte. You may have to click on the picture to zoom in. And here some photos from today. View from Kiener Plaza Garage West. The buildings are visible from ground level at Kiner Plaza but I didn't take one. It's nice to see this part of Downtown fill in. Hopefully, future phases keep up the progress.